From our home to yours, we wish you peace, joy and paws today. Happy Thanksgiving to you as well! Canada’s Thanksgiving is in October but I like to take every opportunity I can to be thankful for all I have … and especially for my little Molly Mia. 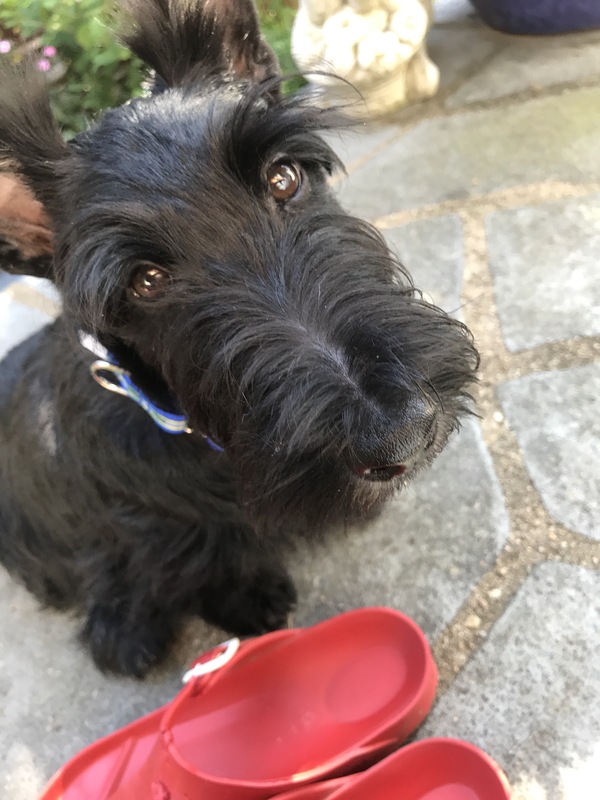 Blessings definitely come in small, Scottie packages. 🙂 And also in very large German Shepherd packages. On this Thanksgiving may we all be grateful for our families, friends and our furry pets that mean so much to us every day. Happy Thanksgiving! Just love this little sweet face! Big hugs from the “Humans”!! Happy Thanksgiving!!! Thankful for sweet Scotty kisses!!! Santa Claws can’t be far behind. Have a happy Thanksgiving. A braw well lad indeed. Somehow we missed this post…. blessings to everyone for Thanksgiving this year!